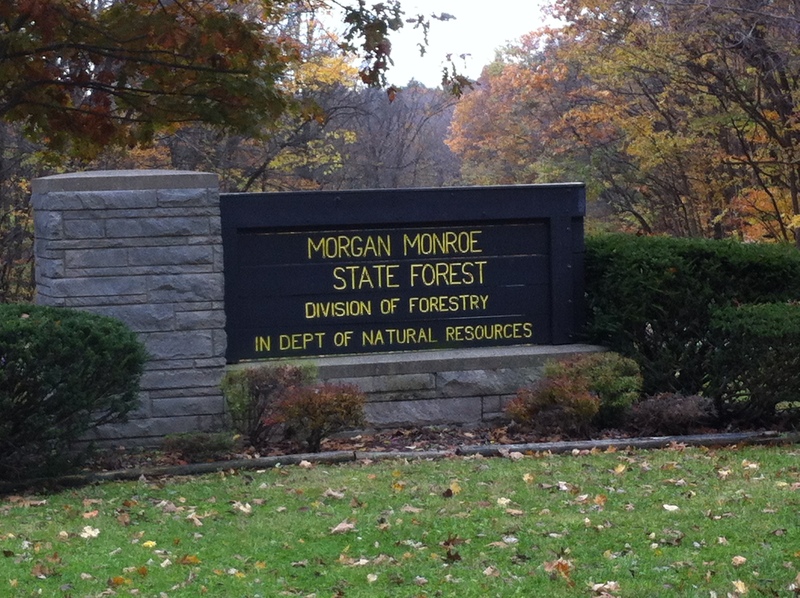 Last weekend my husband and I took advantage of the glorious Fall weather to go on a three hour hike in the Morgan Monroe Forest. 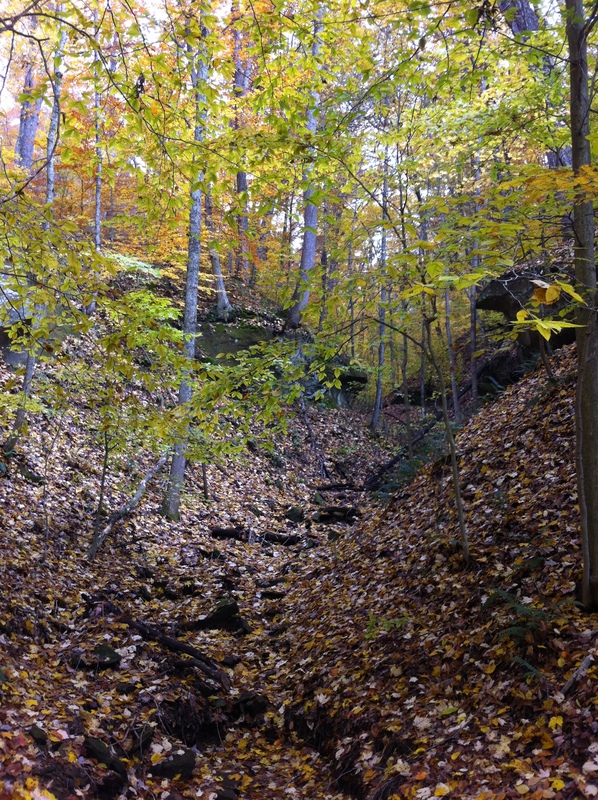 The colors were wonderful and the hills were challenging. I’m still sore three days later, but it was worth it! 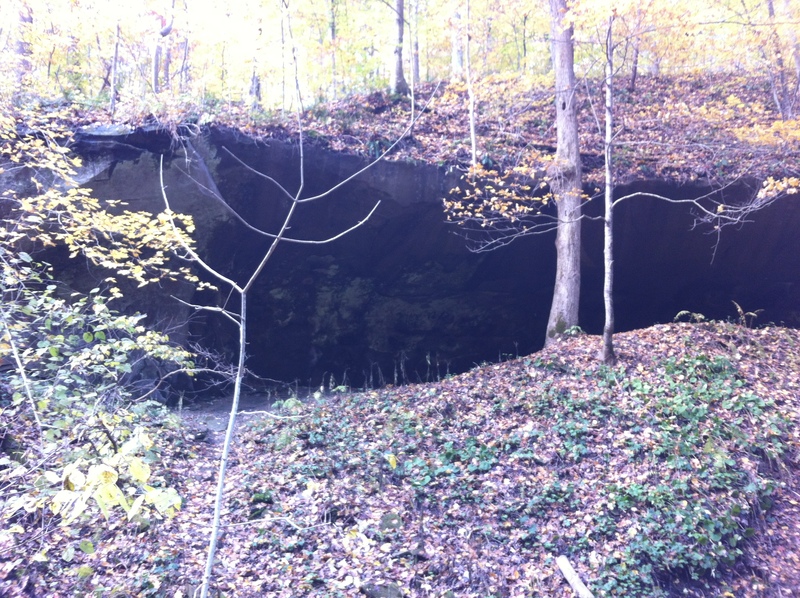 There were ravines and caves. 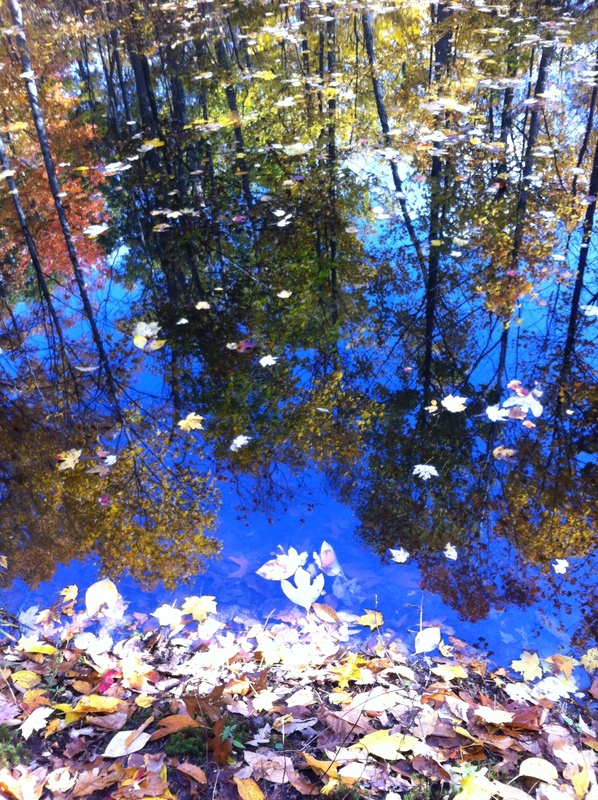 Ponds that reflected the impossible blue of the sky. 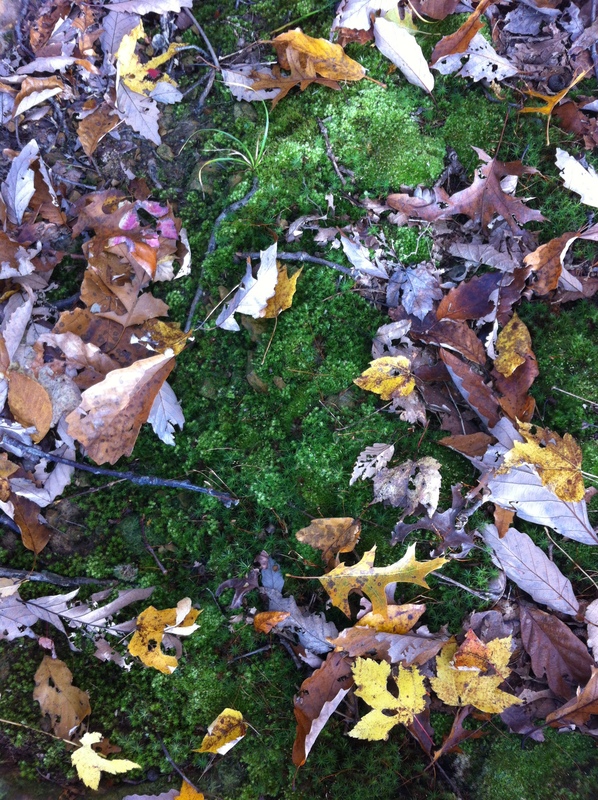 Lots of moss – on the trees, on the rocks and covering the ground next to the trail. 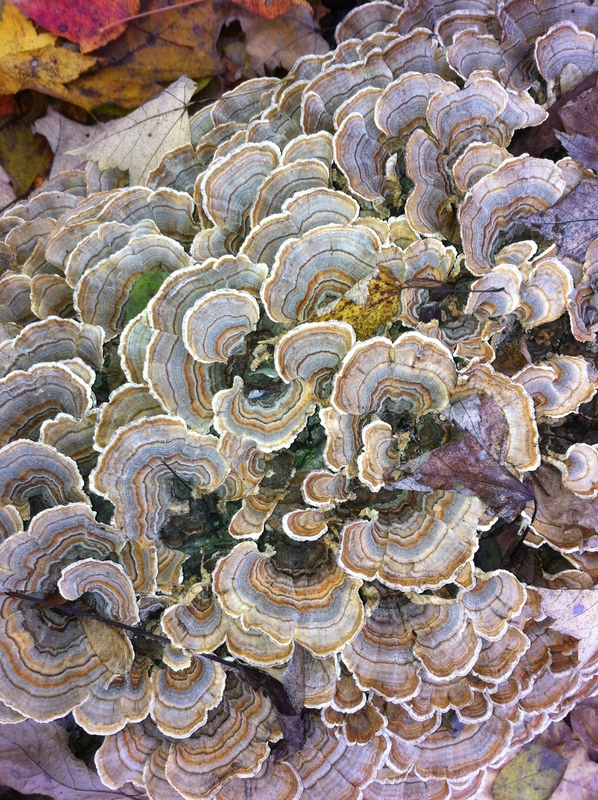 And then my favorite – fungus! Could this be any more intricate and beautiful? 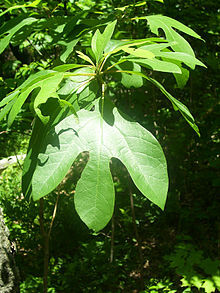 And science geek that I am, I even looked up the name of the tree with three pronged leaves that covered the forest floor – the Sassafrass tree!